The adapter accepts plugs from all countries including USA, Canada, Mexico, China, Japan, Europe, UK, HK, Singapore, France, German and more 150 countries, but can not be used in parts of Africa, please pay attention to avoid any inconvenience. 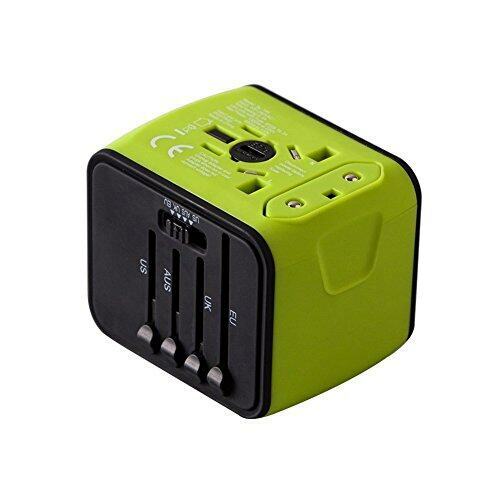 5 function combined into 1 designed also save your space and time during the travel, dual USB ports + universal AC socket allow you to share with family or friends and charge 3 x devices co-instantaneous. You can charge your cell phones and Bluetooth speaker, power bank, tablets and other electronic products via specified plugs or USB port.